Urban Sketching is basically drawing or sketching or painting on location; without taking reference photographs. 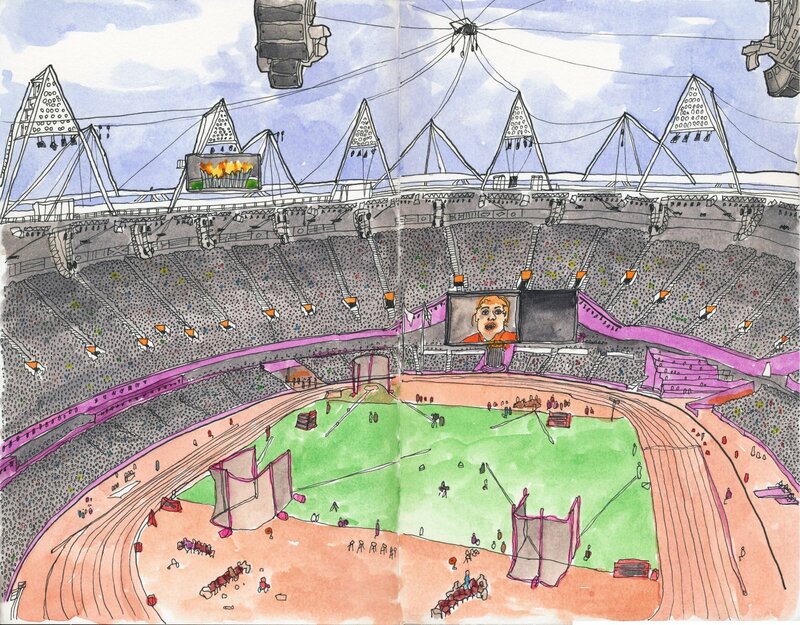 1) We draw on location, indoors or outdoors, capturing what we see from direct observation. 2) Our drawings tell the story of our surroundings, the places we live, and where we travel. The cool thing about urban sketching is that the materials are pretty much an open field; you can use whatever materials you want. Although, portability is an important factor. At the bare minimum you would need a material to record with and a material to record on to. So sketchbooks need to be small, or stored easily in a bag or pocket. But you could just as easily sketch on the page of a book you’re reading, or a piece of cardboard. Can be stored in a pocket. And can be specialist drawing pens which are waterproof and fade proof, or they could just as easily be a biro or an old pencil. Sometimes I carry round a inexpensive camping stool to sit on, or more often than not I like to find somewhere in the environment to perch or sit; so a wall or bench. I’ve used a variety of shoulder bags over the years, but prefer the shoulder Satchel designed by Ally Capellino for the Tate Art Gallery in the United Kingdom. At 31cm wide and 29cm high and 8cm deep it is roomy enough to carry two or three A5 sized sketchbooks, paint palettes, brush pens and regular pens. A bottle of water and my wallet. Initially you’ll need courage to stand your ground and draw in public. But, to be honest, I’ve never really found it a problem. People tend to just ignore you. If they do approach you it’s usually with curiosity. And when they see what you’re doing they are fascinated and usually awestruck, amazed that you can capture the scene. People will stand and chat and then the view that your capturing becomes infused with their tales and your conversation. As you draw alone it feels almost as if you are detached from reality – that you are an observer of the world. Capturing the moment in a book. You don’t have to sketch on your own either. there are many local groups which meet up every month or so. Meet up to chat, compare styles and tips and equipment. But more importantly, to sketch and draw. In the Urban Sketchers Yorkshire Group we even share our sketchbooks at the end of a busy day of sketching and pour over each other’s different takes on the subject matter. 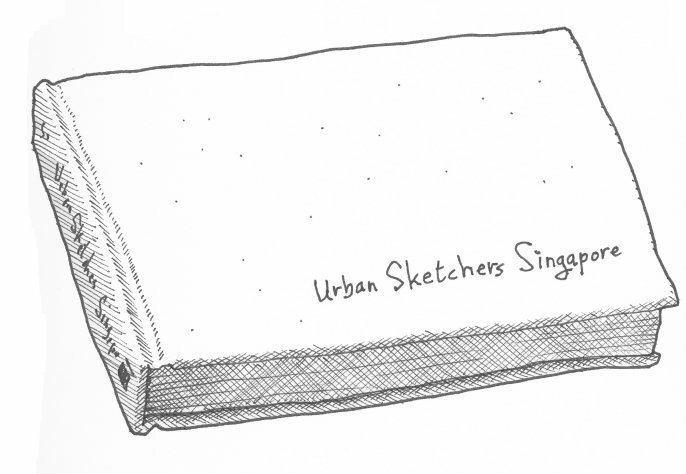 The official Urban Sketchers website is a wonderful place to start. You can see the wide variety of approaches by the different correspondents from all over the world. 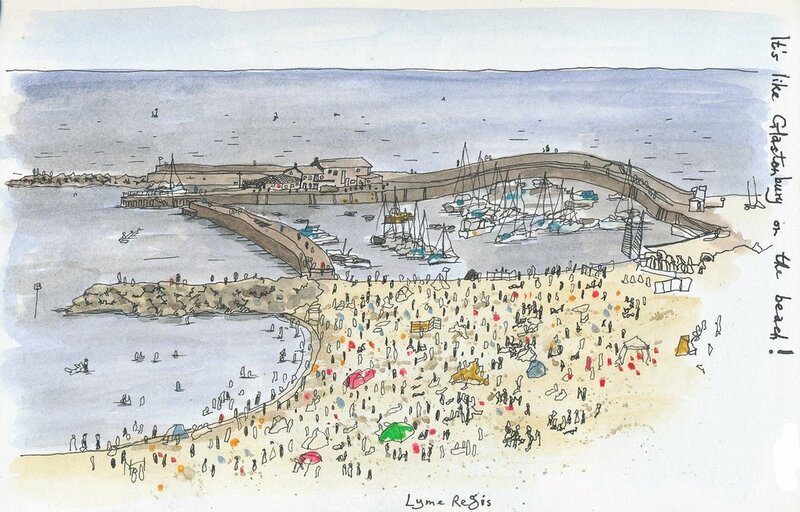 The Urban Sketchers group also has a vibrant Facebook group where you can post your own images. There are other more local urban sketch groups too. 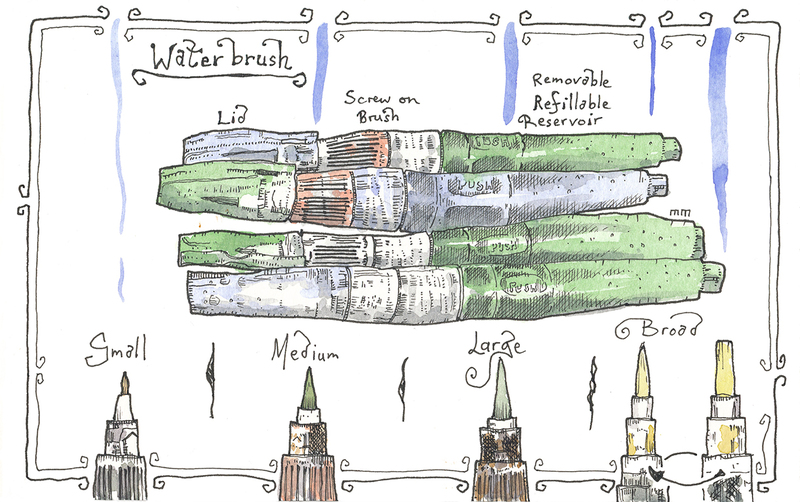 Tools – Waterbrushes are incredibly useful for the urban sketcher who wants to use water-based paints. The Urban Sketching scene in Singapore does seem to be particularly vibrant and I have to say, because of that; this book just blows my mind. It’s a collection of various Urban Sketchers who draw Singapore; including, but in no way exclusively, Don Low and Tia Boon Sim. There are about 37 artists featured in total. This really is a feast for the eyes. The book is practically text free, allowing the urban sketches of different areas around Singapore to speak for themselves. If you love sketching and urban sketching in particular then this is such a wonderful book; plenty of styles and techniques on show.